We have been busy and have added two new delicious products to our range - The Hot Red One and The Green One and so far the response has been amazing, so thank you. You asked, we listened. 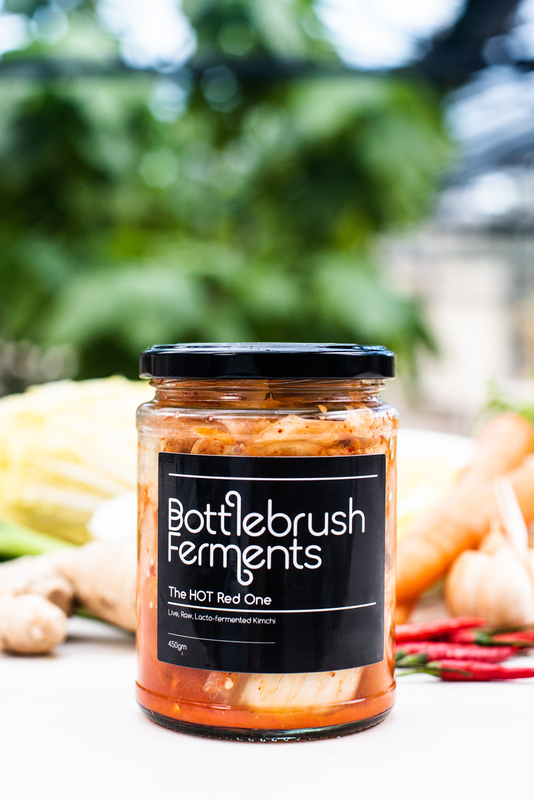 The Hot one came about after repeated demand for a hotter version of our best-selling Kimchi. We've used the same trusted recipe, but used Thai Birdseye chillies for an extra heat kick. This is our new creation - Green Kimchi. 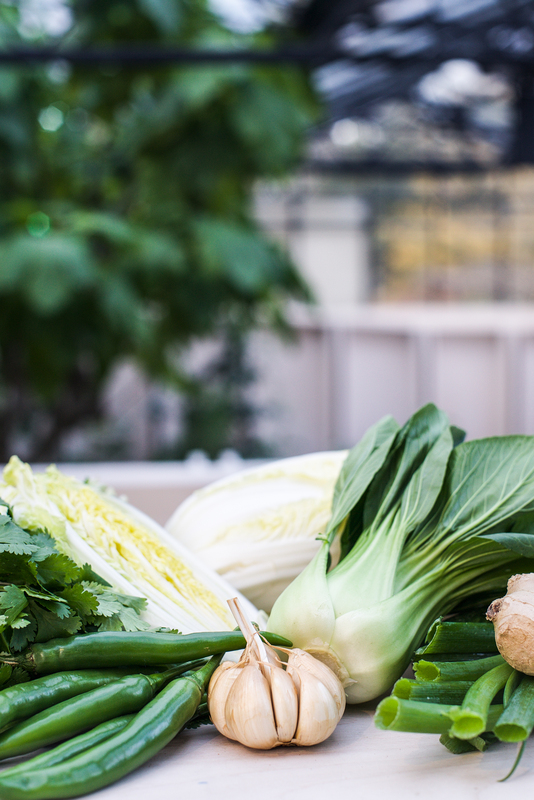 Same base of Chinese cabbage, Mooli, garlic, ginger and spring onion, but we've swapped the carrot, red chilli and red pepper powder for loads of fresh cucumber, Pak Choi and coriander. It's fresh, clean and absolutley amazing. And of course we still have our three tried and tested original flavours. 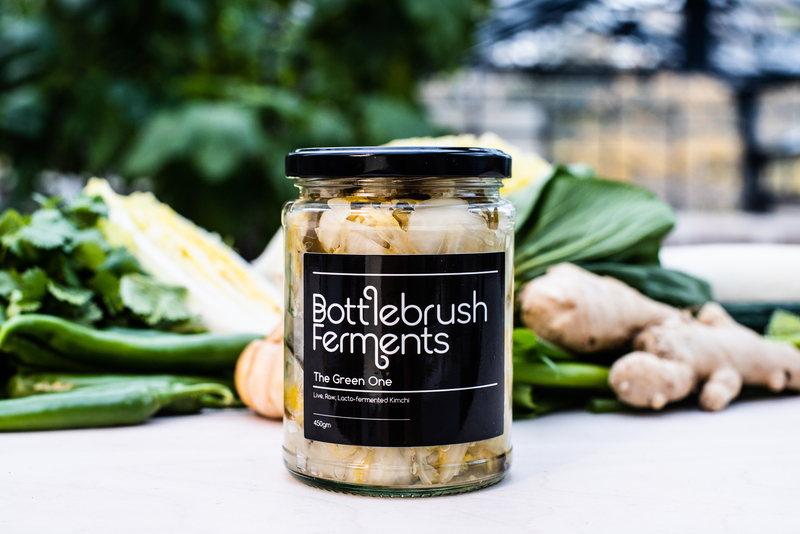 As mentioned previously, all of our ferments are very different and unique in their own way. They are all incredibly tasty and very versatile. We’ve been known to eat them for breakfast, lunch and dinner………in the same day, but we’re a little obsessed. Try them with salads, seafood, with red meat, chicken or even eggs and cheese. 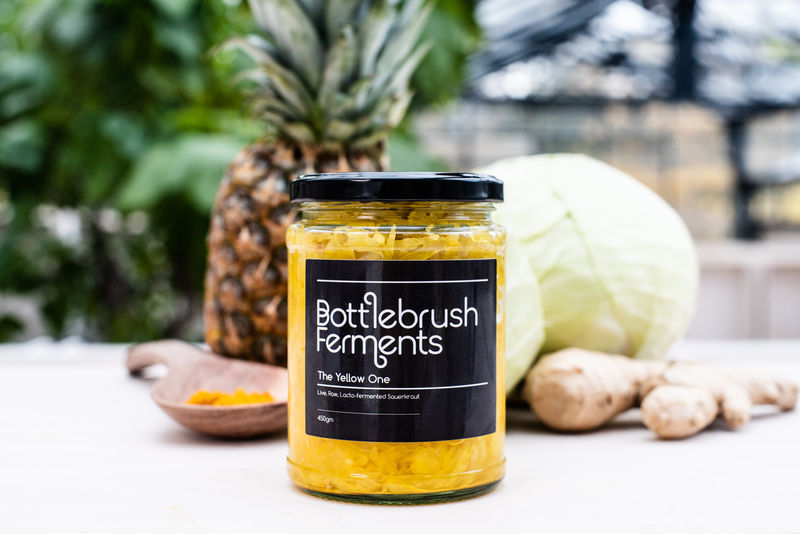 The Yellow One is inspired by our Aussie heritage – sweet pineapple reminds us of summers at the beach and the zing of ginger and superfood boost provided by turmeric give The Yellow One its unique colour and flavour. 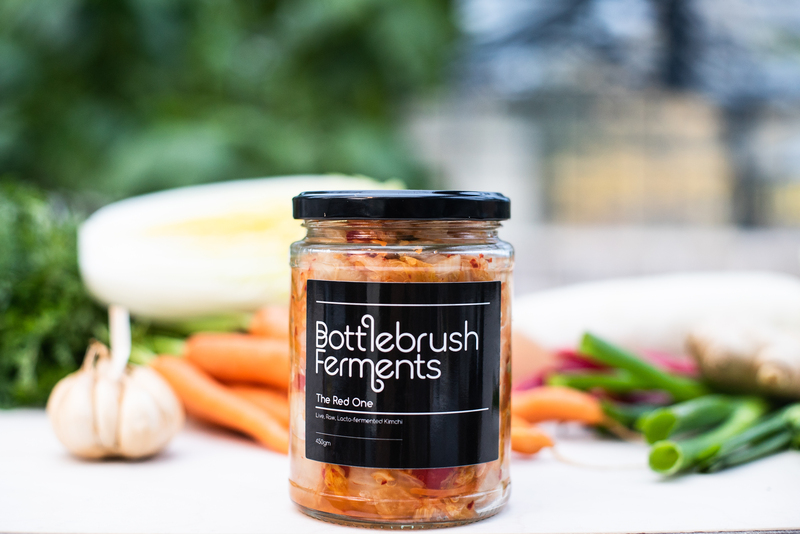 It works really well in salads, with chicken, fish, Asian and spicy dishes. The Purple One is a bit of an all rounder. It works just as well with your eggs, smoked salmon & smashed avocado for brekky as it does with rich, hearty red meats like lamb, venison and even sausages. 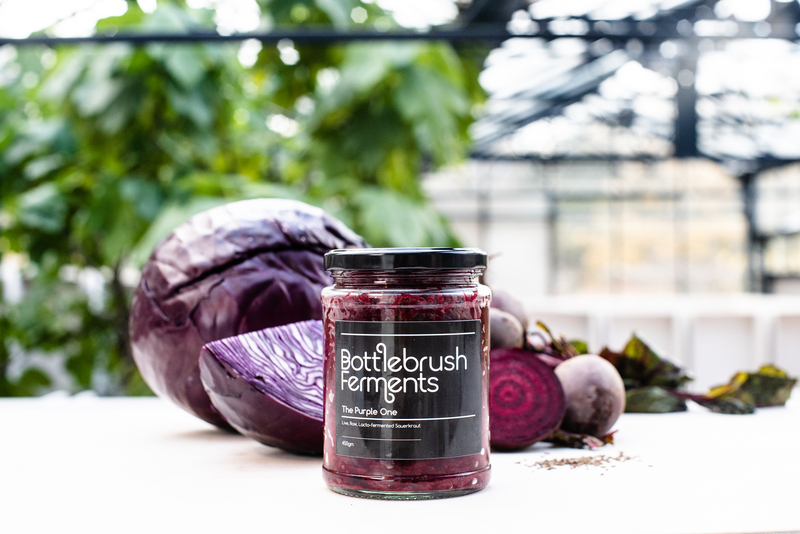 Red cabbage, beetroot and caraway give it a deeper, earthier yet versatile flavour. 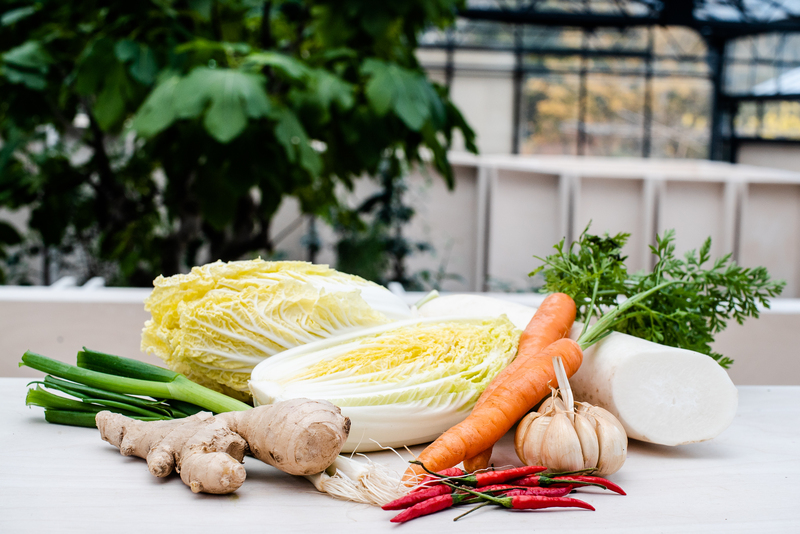 The Red One is a bit different, it’s our take on Kimchi – lots of fresh Chinese cabbage, mooli, carrot, spring onion, garlic and chilli, naturally fermented with beautiful colour and just the right amount of heat. It goes with just about anything, but try it with meat, chicken, fish, salads or with other spicy foods.